Template file must be created using iBooks Author and use the .iba extension. Item documentation must be in the root folder. Documentation must list all layouts. Unzip the purchased iBooks item. Open the .iba file in iBooks Author. 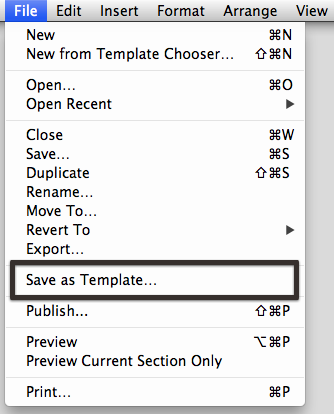 Go to File in the menu and select Save as Template.